In festive seasons, such as Christmas holidays, the greatest danger to your beautiful and shiny smile comes from the variety of delicacies related to these annual celebration days. Also, this is the time of year in which the intensity of social gatherings here and there are simply too much and frequent that it becomes necessary for you to keep your teeth shiny and stronger. So, to take a proper care of your teeth, here are some of the important tips given by the famous dentist of Los Angeles – Dr. Shervin Louie – to maintain a confident and beautiful smile throughout Christmas season, and beyond. Let’s read these tips now. Tongue cleaners are the best utensil in such seasons where your tongue needs significant cleaning and care on a regular basis. Due to an increased intake of foods such as sugary delicacies and other items on a daily basis; mucous, food debris, bacteria, and plaque builds up on the surface of your tongue and gives it a nasty look as well as poor protection against harmful effects. Using a tongue cleaner specifically in Christmas holidays turns out to be a great help. A professional cleanup of your teeth by a dentist is also a great way to maintain a bright and confident smile throughout your Christmas holidays. Dentists have specialized instruments, techniques, and experience to do an effective deep cleansing of your teeth which leaves them clear as crystal. 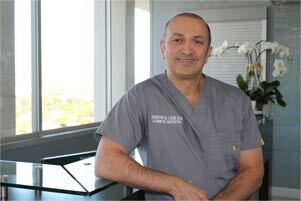 You can also visit one of the renowned dentists in Los Angeles Dr. Shervin Louie if you happen to reside in Los Angeles City, for a better and highly efficient dental cleaning procedure. Smoking is the root cause of several ills that can happen to our whole body, let alone oral organs. Deciding to quit smoking during the holiday season is one of the best things you can do in your life. It will save you lots of money, your life, and helps to maintain the sanctity of your shiny white smile. The basics of good dental practice are always there for you to follow, no matter holidays or normal days. Especially on Christmas holidays, a habit of daily brushing and flossing is preeminent in procuring overall dental and oral health, let alone a bright and beautiful smile. So, make sure you stick to this pattern during your holiday fiestas. 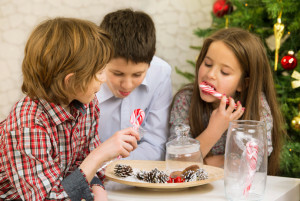 On Christmas occasions, there are a variety of those foods and drinks (e. g. sodas or dark sugary desserts) that can stain and help the development of bacteria’s in your mouth and on teeth. According to Dr. Shervin Louie, the renowned dentist in Los Angeles, not only sodas or sugary desserts could do harm to your teeth but an excess of tea, coffee, and wines as well, particularly the red wine. So, avoid them to get the best smile you desire. Will you be following these great tips on this Christmas and beyond? If so, make sure you are in for some good dental health and shining smile on your face as long as you live.